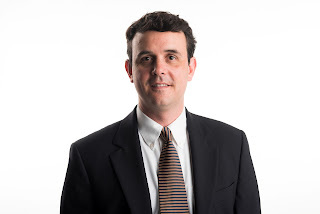 The Van Winkle Law Firm announced today that attorney Jonathan Dunlap has joined the firm's litigation team. Dunlap will practice medical malpractice defense, patent litigation and land use litigation. He also represents medical practitioners before licensing boards. He has first chair experience representing clients in administrative trials, medical board investigations, and motions practice before state and federal courts of North and South Carolina. Dunlap earned his undergraduate degree from Kenyon College and his law degree from the University of South Carolina School of Law. Following law school, he joined a top Charleston defense firm. He then gained national experience handling tort and employment practices claims in more than 15 jurisdictions as an in-house attorney for United Educators Insurance Company. Before joining The Van Winkle Law Firm, Dunlap practiced at a prominent medical malpractice defense firm in Raleigh. Prior to practicing law, Dunlap lived, studied and worked in Europe for more than three years. He now resides in Asheville with his wife and their two children. The Van Winkle Law Firm has an experienced team of civil litigators with a long history of vigorous representation in complex matters before state and federal trial and appellate courts, the U.S. Bankruptcy Court, and the U.S. Tax Court, as well as before local, state, and federal regulatory boards, agencies, and commissions. The firm's lawyers have deep experience helping clients navigate through treacherous regulatory environments and complex legal issues, in and out of the courtroom, where responsiveness, efficiency and creative strategy are instrumental in achieving desired resolutions. This commitment to results has helped the litigation team earn distinctions among the Best Lawyers in America®, Super Lawyers, Business North Carolina’s Legal Elite and the North Carolina Bar Association Hall of Fame. For more than 100 years, the attorneys at The Van Winkle Law Firm have provided a premier level of strategic legal counsel and services to meet clients’ personal, estate planning, commercial, business and litigation needs. With offices in Asheville, Hendersonville and Charlotte, the firm is one of the largest in the state. For additional information, please visit www.vwlawfirm.com.